Dr. Lyons was very proud of the company’s privately owned status and was resolute on keeping it. He was a man who liked to move quickly on opportunities, and he relished the agility and speed that being accountable only to himself afforded him. Born on Aug. 3, 1944, to Thomas Kevin and Margaret (née Dunne) Lyons and raised in Dundalk, County Louth, Ireland, he was one of six children. On his mother’s side, he came from five generations of coopers who supplied barrels to distilleries in Ireland, although both his parents were teetotalers. His mother owned a small grocery shop, which Dr. Lyons later acknowledged to be the inspiration behind his entrepreneurial drive. His first job at the age of 14 was at Harp Lager in Dundalk, where he helped out in the laboratory. Dr. Lyons received his bachelor’s degree from University College Dublin in Ireland, graduating with first-class honors. He continued into postgraduate study at the British School of Malting and Brewing in Birmingham, where he gained master’s and doctoral degrees in brewing science from the University of Birmingham. In fact, he was the first Irishman to receive a formal degree in brewing and distilling from the university. He interned at the Guinness and Harp Lager breweries and later worked as a biochemist for Irish Distillers, makers of Jameson whiskey. He was instrumental in designing the Midleton distillery for Jameson, an opportunity that he considered to be a highlight of his early career. Pearse met Deirdre (née Byrne) when she was 17, and they married in 1972. Their daughter, Aoife Louise, was born in 1973 and son, Mark, in 1976. In 1977, Dr. Lyons moved to the United States on a visa he was awarded as a gifted scientist. He had been working with Biocon, a United Kingdom-based company that supplied brewers and distillers with yeasts, enzymes and flavoring agents, over the past three years to build its Irish and U.K. markets. His new task was to build its U.S. market and train ethanol distillers in Kentucky. In 1980, Dr. Lyons decided to “take control of his own destiny.” He launched his own business, Alltech, which built its success upon the application of yeast technologies to animal health and nutrition. Alltech was set up in a garage with an initial investment of $10,000 and enough money set aside to pay the mortgage and buy groceries for the family for a year. In its first year, the company turned over $1 million dollars. The very name “Alltech” ensured his family was built into the business from day one. 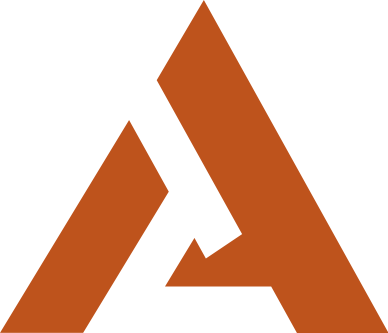 Alltech’s name is based on the initials of daughter Aoife Louise Lyons, and Alltech’s signature logo color was son Mark’s choice at the time. Both of his now-grown children are leaders in the family business. His daughter, Dr. Aoife Lyons, is a licensed clinical psychologist and global director of educational initiatives and engagement for the company, while his son, Dr. Mark Lyons, is now the president and CEO. Deirdre, co-founder of Alltech, is director of corporate image and design. She designs and outfits the company’s more than 80 offices around the world and oversees Alltech’s philanthropic involvement. Also in 1980, Dr. Lyons established The Alcohol School in Lexington, Kentucky, one of the few schools at that time for the distilling industry, and ran it for 25 years. He also published and co-authored “The Alcohol Textbook,” a text that evolved over four editions and soon became a key source for the beverage, fuel and industrial alcohol industries. In 1999, when the former Lexington Brewing Company in downtown Lexington was closing its doors, Dr. Lyons purchased it to resurrect the brewing and distilling tradition of Lexington that dates back to 1794. The first beer from Dr. Lyons’ new brewery, Lexington Brewing & Distilling Co., was Kentucky Ale®, a blend of two classic beer styles: an Irish red ale and an English pale ale. Another breakthrough came several years later when Kentucky Ale was placed into freshly emptied bourbon barrels from nearby distilleries to soak up the fresh bourbon and oak flavors. This brew was known as Kentucky Bourbon Barrel Ale® and soon became the brewery’s flagship brew after its introduction to the market in 2006. It is regarded as one of the forerunners of the bourbon-barrel aging trend in craft beer. Dr. Lyons was widely recognized for his contributions to science and industry and was awarded honorary doctorates from many colleges and universities around the world. He was named Business Person of the Year by Business & Finance magazine and received the prestigious Ireland-U.S. Council Award for Outstanding Achievement. Irish Prime Minister Enda Kenny recognized him with the St. Patrick’s Day Science Medal in recognition of creating a global business based on scientific research. He was also selected to receive the Commander’s Award for Public Service, a rarely presented official U.S. Army medal, and has been honored with the prestigious Henry Clay Medallion for Distinguished Service, past recipients of which include Sandra Day O’Connor, Ted Turner and Princess Haya Bint Al Hussein. Dr. Lyons spearheaded Alltech’s commitment to international equestrian sport by sponsoring the Alltech FEI World Equestrian Games™ 2010 in Lexington, Kentucky, which led to his receipt of the Commonwealth of Kentucky’s first-ever Legacy Award in 2011. He and Deirdre funded and oversaw the construction of more than a dozen state-of-the-art science laboratories at primary schools in Kentucky and Ireland. The labs were completed as a personal tribute to Dr. Lyons’ late brother, Father Kevin Lyons, a priest who was dedicated to improving the lives of children. The Lyonses hoped to inspire children to greater curiosity about the world around them, and many of the schools with new labs have gone on to achieve Blue Ribbon School of Excellence status. The Lyonses believe in cultivating lifelong learning, and Dr. Lyons, in particular, was interested in encouraging budding scientists and entrepreneurs. The Alltech Young Scientist program, the largest global agriscience competition of its kind, has engaged more than 100,000 university students. The Lyonses also ensured that Alltech opened its doors to students for on-the-job discovery, with more than 450 undergraduates completing an internship program at the Alltech Center for Animal Nutrigenomics and Applied Animal Nutrition in Kentucky and approximately 440 Ph.D., master’s degree and graduate students being supported through Alltech’s bioscience centers. Believing that the arts are essential to creative thinking and innovation, Dr. and Mrs. Lyons led Alltech’s sponsorship of the Alltech Vocal Scholarship Competition, which is considered one of the largest vocal scholarship programs in the world and has positioned the University of Kentucky Opera Theatre program as a Richard Tucker Foundation top-20 opera program. More than $500,000 in scholarships has been awarded annually to promising young vocalists. Dr. Lyons was particularly well-known for leading Alltech’s international conference, branded in recent years as ONE: The Alltech Ideas Conference. Held for more than three decades, the event has become Lexington, Kentucky’s largest annual room booking, attracting nearly 4,000 people from more than 70 countries. 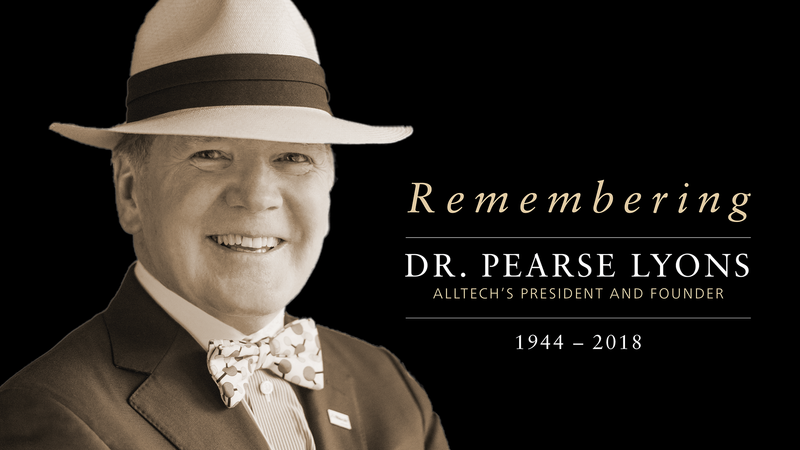 Giving back was also a passion for Dr. Lyons, so he established Alltech’s ACE Involvement Foundation, a charitable foundation to help fund the company’s philanthropic efforts. These efforts have included Alltech® Café Citadelle, a Haitian coffee that offers a “cup of hope.” Eager to support Haiti following the devastating 2010 earthquake, Dr. Lyons determined he would create a sustainable Haitian enterprise that could provide a “hand up” to the country’s residents. He found a gem in the country’s 100 percent mountain-grown, organic Arabica coffee. All profits from the sale of Alltech Café Citadelle are reinvested in two primary schools in northern Haiti.